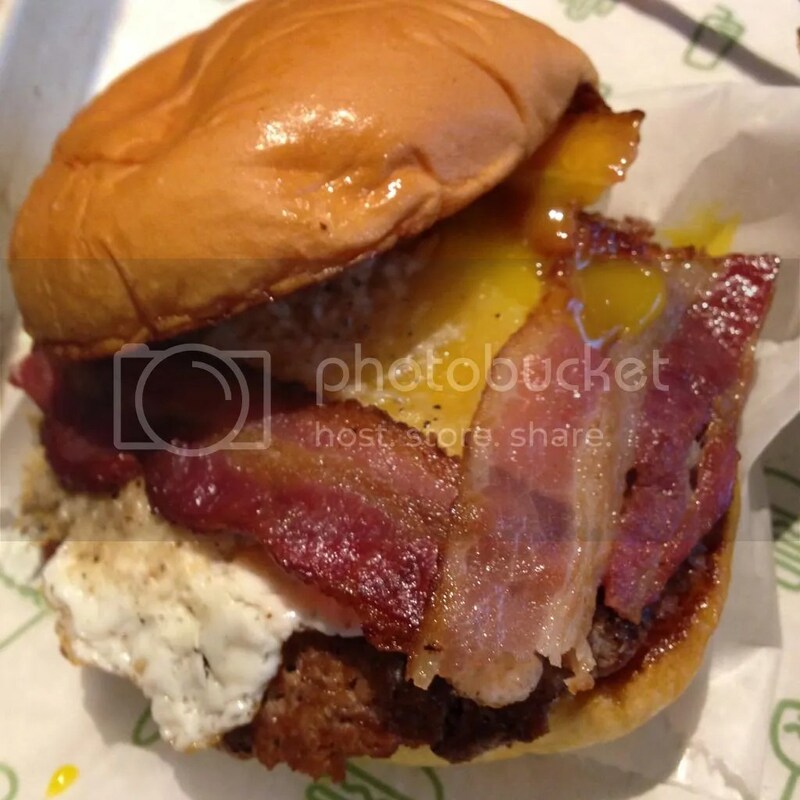 This year marks the 10th anniversary of Shake Shack, and while their original New York City location in Madison Square Park has been getting a different special “Celebrity Chef” collaboration burger every day this week, the Philly Shake Shack outposts certainly weren’t left out of the festivities. Philadelphia chef Marc Vetri created his own “Carbonara Burger“: Shake Shack’s signature Pat LaFrieda patties topped with pecorino cheese, black pepper, bacon & a fried egg. Putting a fried egg & bacon on top of a burger is pretty much the key to my heart, so who needs one of those crazy shrimp & butter topped creations going on in NYC when I can get one of these bad boys right near home? You guys will have to act fast, though. The burger is only available until this Sunday, June 15th – at all three Philadelphia Shake Shack locations (Sansom Street, University City & King of Prussia) – or until I eat them all, whichever comes first! Posted in bacon, black pepper, buns, burger, carbonara, carbonara burger, cheese, fried egg, Marc Vetri, philadelphia, philly, shake shack, special edition. Bookmark the permalink.